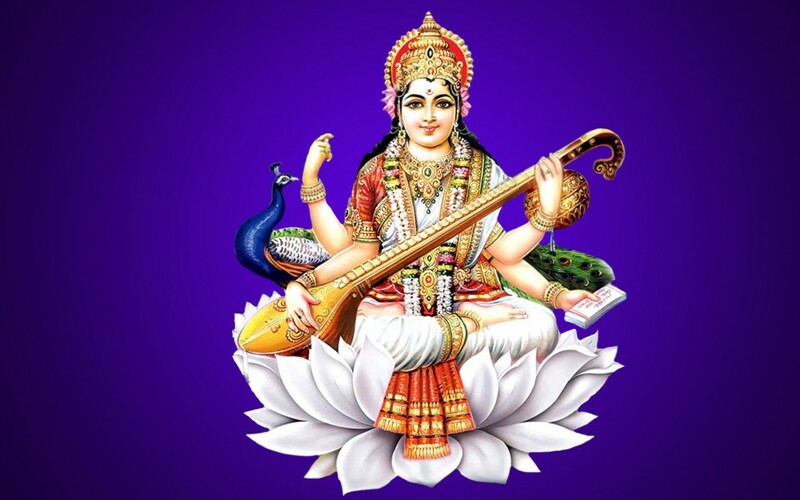 Saraswati is the Hindu goddess of knowledge, music and all the creative arts. Saraswati is called the Mother of the Veda’s and the repository of Brahma’s creative intelligence. Saraswati is also called Vak Devi, the goddess of speech. For most Indian artists, all art and all new art traditions originate with Saraswati, the Hindu goddess of art. She is the main muze of every indian artist. In order to create the world and produce the human race, Brahma made a goddess out of himself. One half was woman and the other half was man. Brahma called the woman Gayatri, but she also became known by many other names such as Saraswati.